Sam has his fair share of intellectual sweet spots. Consciousness has got to be his biggest. If you manage to tackle the three podcasts below (each with one of the biggest consciousness researchers in the space) it'll instantly have you up to scratch on the basics. It's crazy effective one-stop shopping. Sam speaks with philosopher David Chalmers about the nature of consciousness, the challenges of understanding it scientifically, and the prospect that we will one day build it into our machines. Sam speaks with Thomas Metzinger about the scientific and experiential understanding of consciousness. They also talk about the significance of WWII for the history of ideas, the role of intuition in science, the ethics of building conscious AI, the self as an hallucination, how we identify with our thoughts, attention as the root of the feeling of self, the place of Eastern philosophy in Western science, and the limitations of secular humanism. Metzinger is full professor and director of the theoretical philosophy group and the research group on neuroethics/neurophilosophy at the department of philosophy, Johannes Gutenberg University of Mainz, Germany. He is the founder and director of the MIND group and Adjunct Fellow at the Frankfurt Institute of Advanced Studies, Germany. His research centers on analytic philosophy of mind, applied ethics, philosophy of cognitive science, and philosophy of mind. He is the editor of Neural Correlates of Consciousness and the author of Being No One and The Ego Tunnel. Sam speaks with Anil Seth about the scientific study of consciousness, where consciousness emerges in nature, levels of consciousness, perception as a “controlled hallucination,” emotion, the experience of “pure consciousness,” consciousness as “integrated information,” measures of “brain complexity,” psychedelics, different aspects of the “self,” conscious AI, and many other topics. Anil K. Seth is Professor of Cognitive and Computational Neuroscience at the University of Sussex and Founding Co-Director of the Sackler Centre for Consciousness Science. 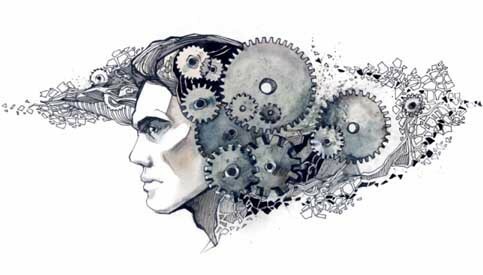 In his work, he seeks to understand the biological basis of consciousness by bringing together research across neuroscience, mathematics, artificial intelligence, computer science, psychology, philosophy and psychiatry. Through the Sackler Centre the aim is to translate an understanding of the complex brain networks underpinning consciousness into new clinical approaches to psychiatric and neurological disorders. I really like how Neil Theise is thinking about these problems - (Complexity Theory & Panpsychism). It makes me wonder if self-awareness/self-consciousness/self-defense... all the self-stuff - is an emergent property. Whatever the case - it certainly takes the question of consciousness as a fundamental property of the universe in interesting directions. Annals of Qualia: The Hard Problem of Consciousness is arguably the single biggest tizzy facing scientists today. Put simply, this is the question of how the raw meat of our brain can give rise to the subjective experience that is our life. As Brit philosopher Colin McGinn puts it, "How can technicolor phenomenology arise from soggy grey matter? ".One of the most-intriguing answers to that question comes from Giulio Tononi, who holds the Distinguished Chair of Consciousness at the University of Wisconsin. His "Integrated Information Theory (IIT)” checks off most of the fundamental boxes for a solid theory (it aligns with evolutionary processes, explains phenomenological experience, etc. ), but leads to some wild conclusions (the Internet must be conscious). It’s a tricky idea to get a handle on, but Christof Koch's book Consciousness does the best job I've yet seen. Truly an amazing exploration of the subject. Hats off to Christof! 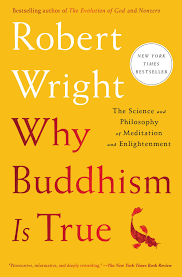 Annals of Evolutionary-Buddhism: I'm a huge fan of Robert Wright. Back in the 1990s, he caught my attention when President Clinton made everyone who worked in the White House read his book, Non-Zero. This is sort of the precursor work to both Steven Pinker’s work why violence is declining over time, and a lot of the ideas about empathy I probe in my forthcoming book, Last Tango in Cyberspace (just got our pub date, May 2019). But all this is a little beside the point. The point here is that the topic of Wright’s new book is extra interesting. Why Buddhism is True blends evolutionary-psychology with cutting-edge neuroscience to defend the radical claims at the heart of Buddhist philosophy. As both a lover of Wright and a neurotheology wonk, this got my attention right away. SK Bonus: Along similar lines, I wrote a piece for Forbes back in 2013 that argues about the mutable boundary of self and the arbitrariness of identity (a similar case to Wright's). If you want a little more on why the bounds of the Self are arbitrary check it here. .... and we get to my wheelhouse of expertise–hacking consciousness to help do the impossible. Here's a piece from Wired on the topic. It's a little snarky at points but a fun and easy overview if its a fresh topic for you. For a double-dose from me on the topic check out the two pieces below. These will give you a quick and solid overview. To dive deeper the prescription is reading Stealing Fire & Rise of Superman. From there to go a few clicks north jump into one of our courses at FGP; Flow Fundamentals & Flow Performance will do it. A Safety First Parting Word: My partner at the Flow Genome Project, Jamie Wheal, drops 90-seconds of consciousness-hacking caution. It’s critical information. If you want more, we dive deeper into this at the end of Stealing Fire, in the "Hedonic Calendering" section.